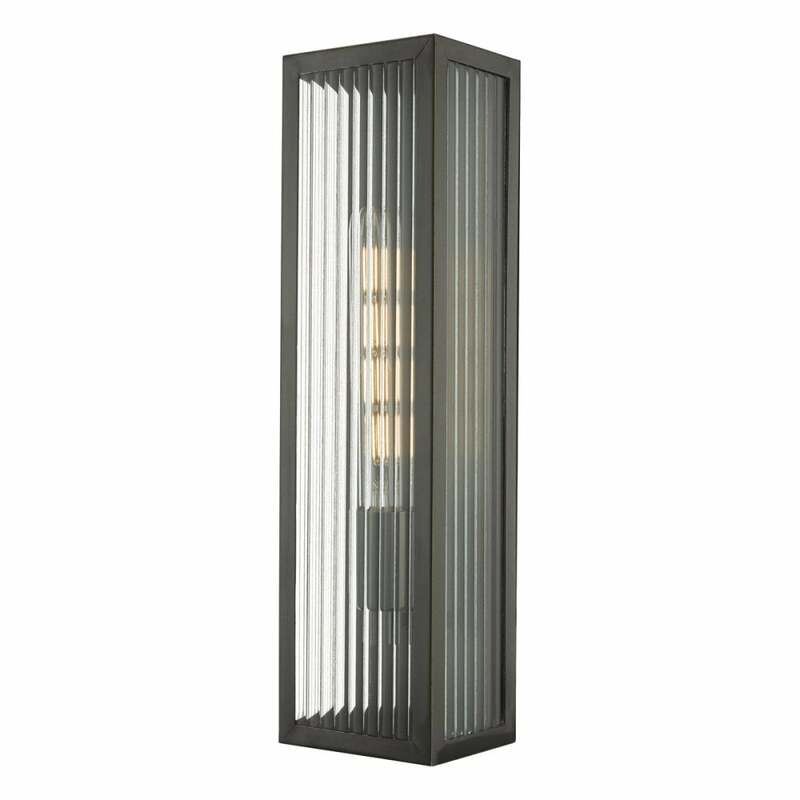 Dar Keegan single light outdoor wall light in bronze finish with ribbed glass panels. This elegant rectangular wall light manufactured from solid brass has a hand rubbed bronze finish. The hand finished nature of this fitting is unique and therefore each finish may slightly vary from another. The ribbed clear glass panels refract the light beautifully when lit. This product code is KEE5063. A smaller version of this is also available.